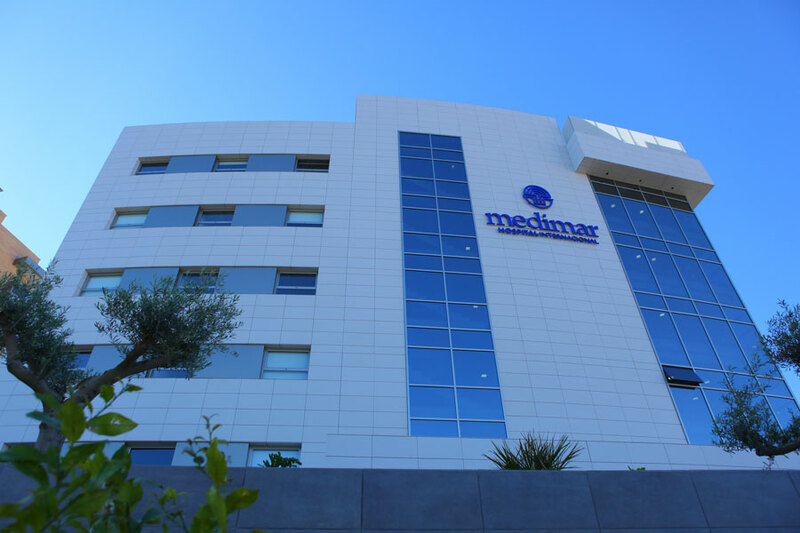 The extension of the International Medimar Hospital, in Alicante, has been developed over a 4.500 squared metres surface, located next to two buildings at the disposal of Medimar Health Centre. 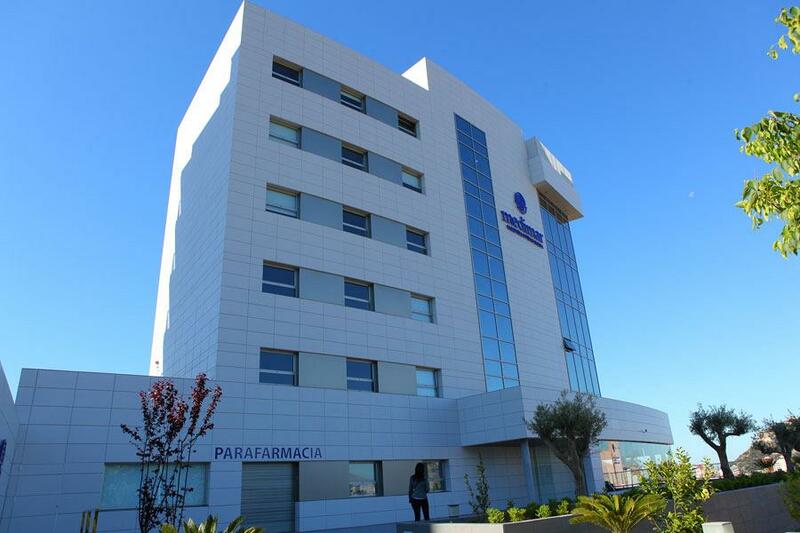 The new offices are located in a new, modern block of five floors equipped with individual offices, meeting and reception rooms. 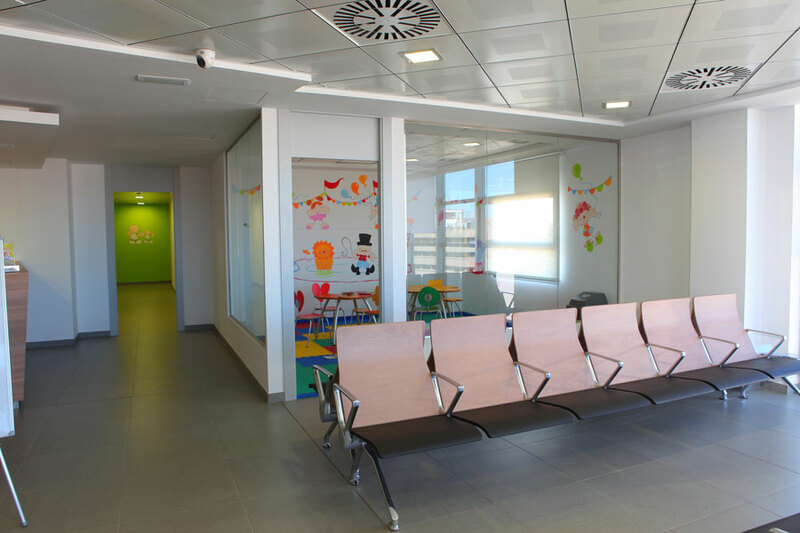 With very personal aesthetics and an abundance of natural light, which streams in through the big windows, it has created a new health space focused on improving patient care in the hospital, such as the incorporation and the development of the new medical specialists. Actiu provided the furniture to equip these new installations. Avant is a modular bench system with smooth lines and great aesthetics, which provides a waiting area and rest to the users in the designated areas. The Units of Excellence have been moved to this new annexe: Ophthalmology, maxillofacial and plastic surgery, as well as an extension of the surgical and emergency areas. 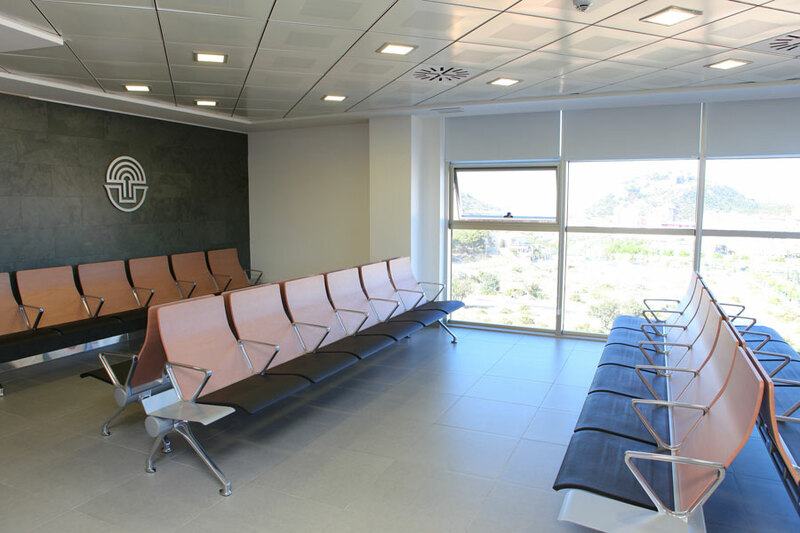 Each consulting room has been furnished in an individual way addressing the medical and functional needs of each specialist. 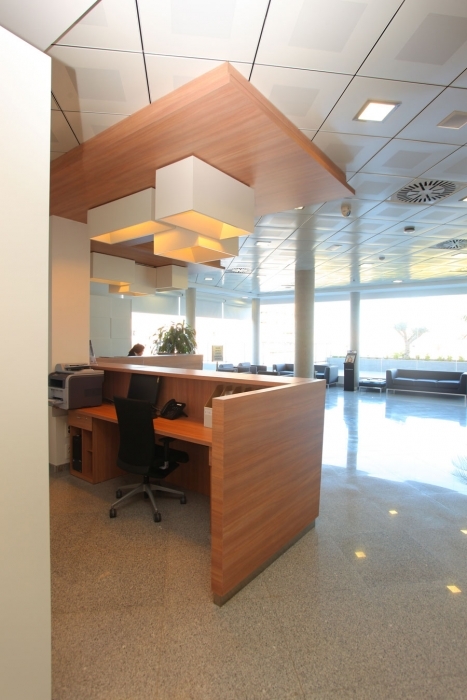 The program Vital Plus, which offers multiple options of desk configuration, with a very attractive design and finishes. 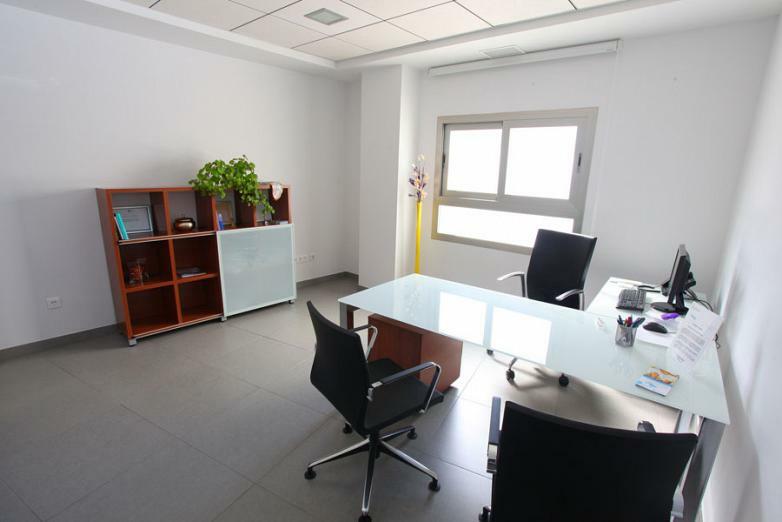 The work surface is made of translucent, safety glass and the structure varies depending on the structure, closed frame or four legs. 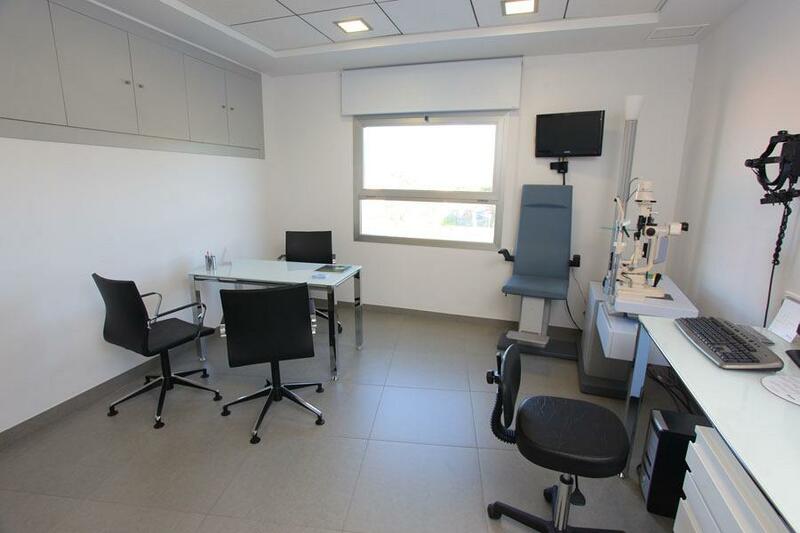 Furthermore, some of the consulting rooms have a support auxiliary wing for the desks, while others are configured without one. 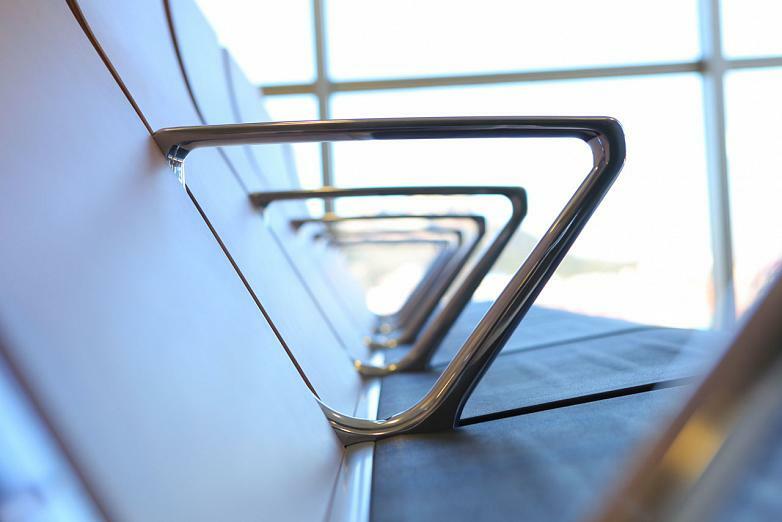 The accessories that accompany each space combine operativity and design in equal parts. All the consulting rooms have a filing cabinet, in some the Cubic series has been used whilst in others Modular Cabinets were chosen, with larger capacity. 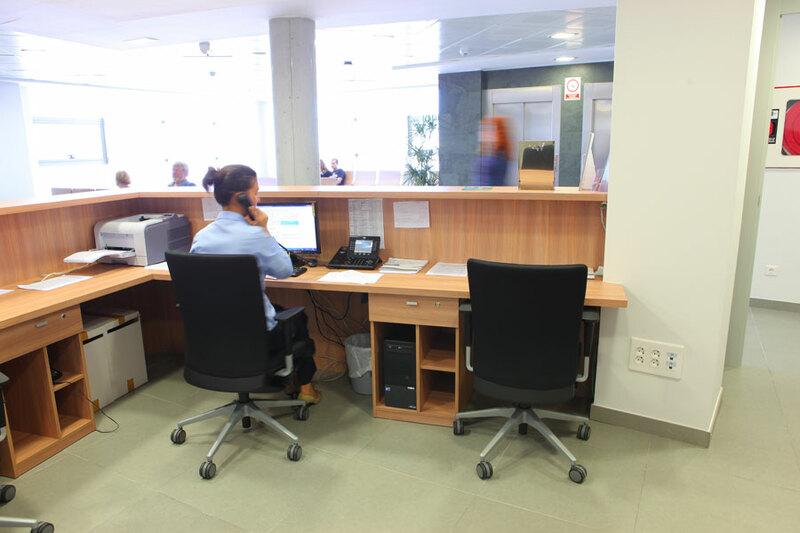 Each desk has a Buck pedestal with drawers and castors, so that the most frequently used documentation is to hand. 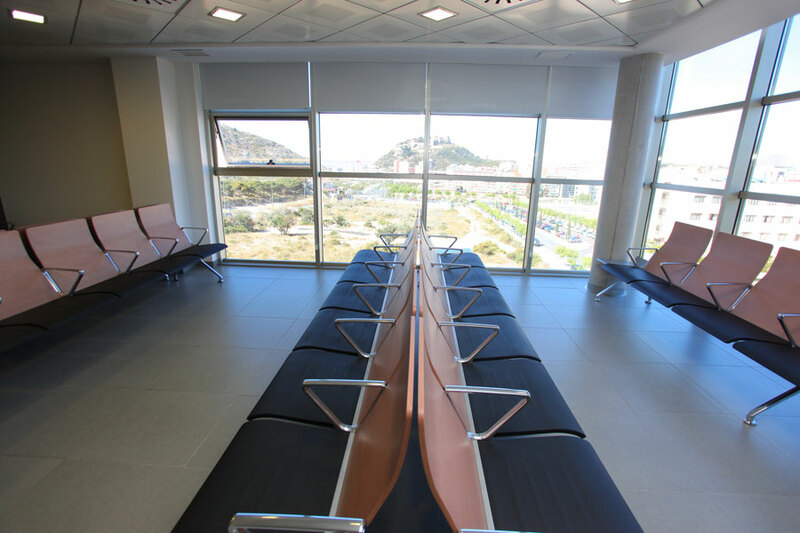 The seating was chosen, in its entirety, upholstered in black .For the executive and medical positions the Kados chair was chosen, with an exclusive design in which straight lines with smooth transitions between different volumes are predominant. 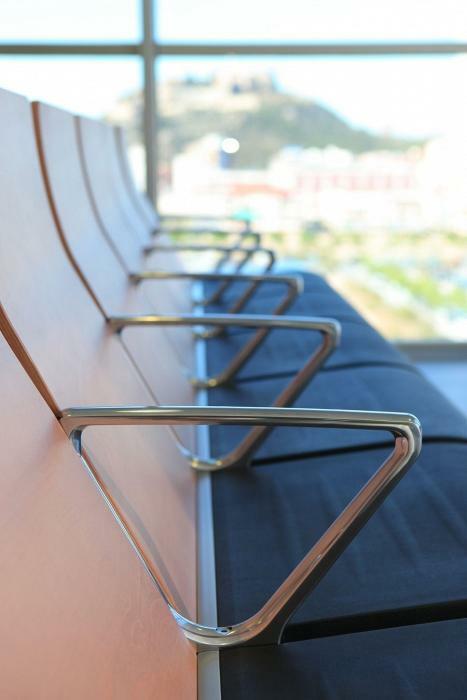 The Uma collective chair, with armrests and an auto-return system with caps, has been used as a visitor chair. 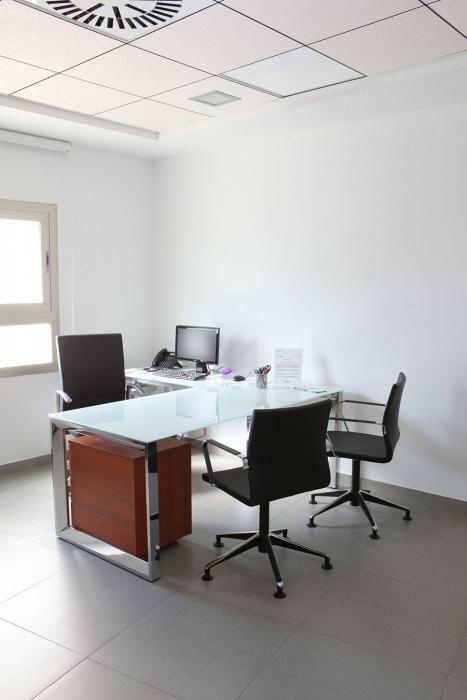 The meeting room has been dressed with the Vital desk, simple and elegant with a walnut surface finish, which contrasts the rest of the desks with glass surfaces. 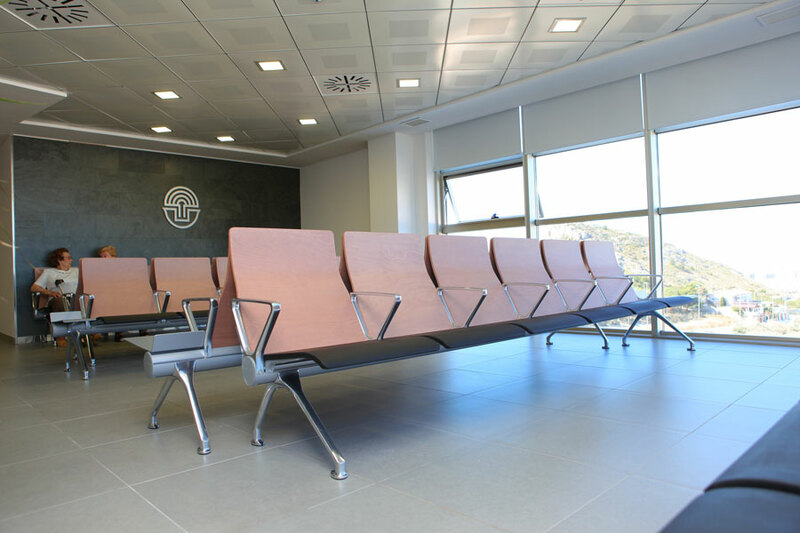 Ikara is a timeless collection of chairs, with its own character which has resulted, along with Vital, as the perfect combination in the meeting room. 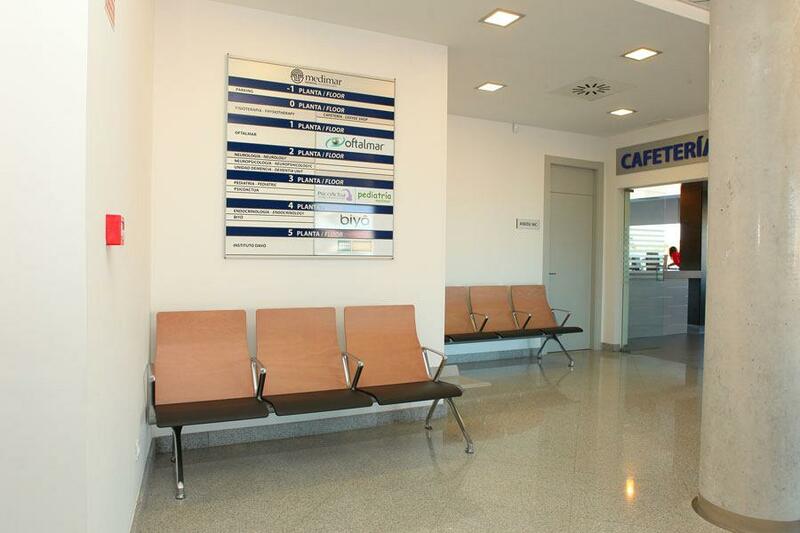 The Winner serie 20 chair occupies the reception and patient care areas. This operative chair meets in a comfortable way the needs of mobility for all types of users. 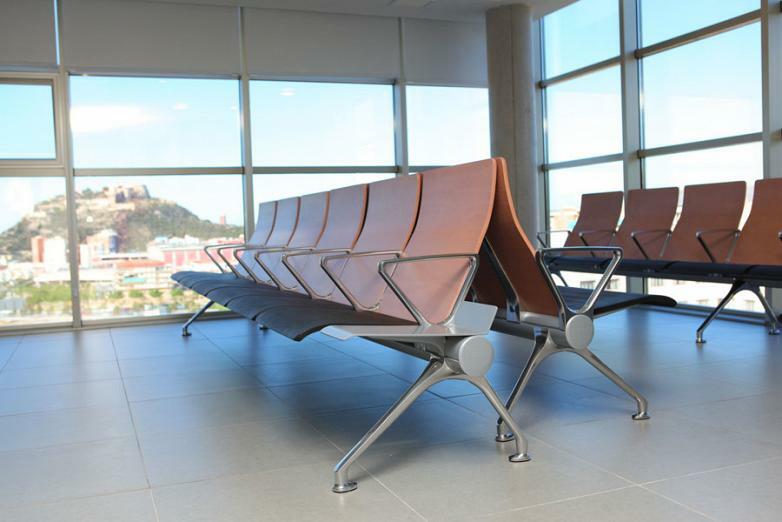 The shape of the seat, upholstered with injected high recuperation foam, favours an even weight distribution and avoids pressure on the knees and pelvis. 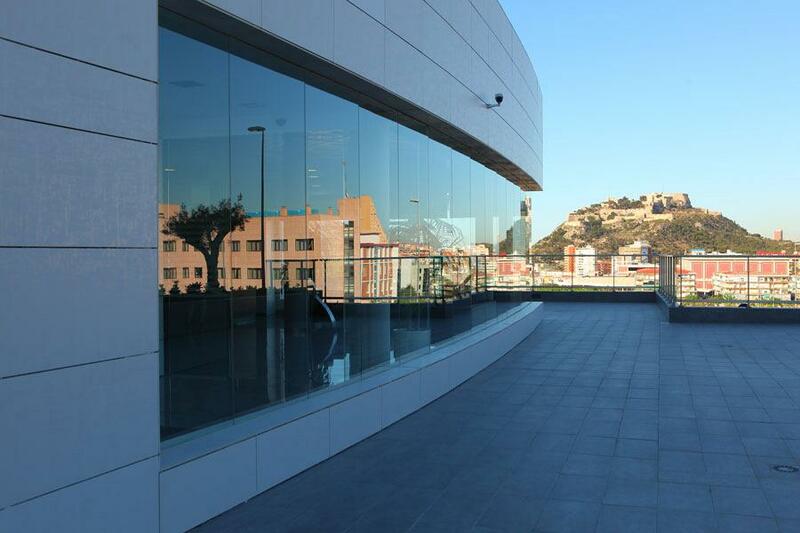 The cafe, with breathtaking views over the Santa Barbara castle, has been equipped with Actiu Cafe tables.